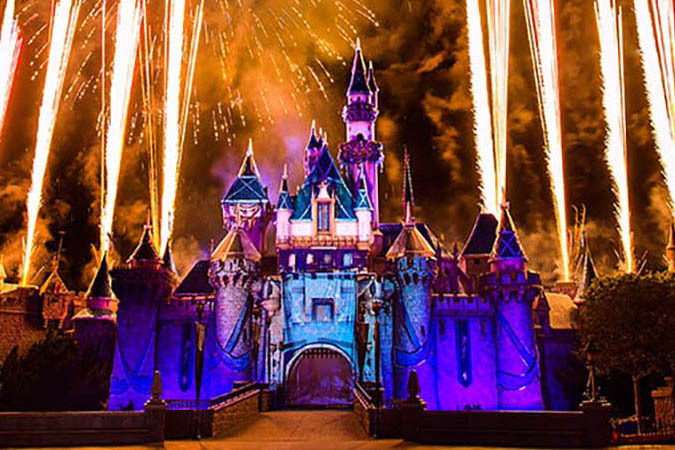 5-Day Disney Theme Park Base Ticket ... Save up to $47 vs. adult gate price! 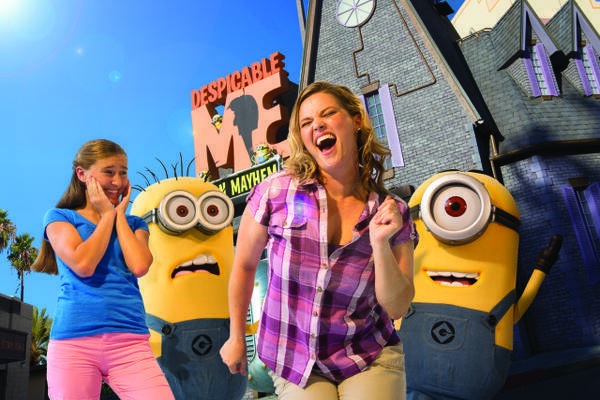 5-Day Disney Theme Park Ticket with Park Hopper Option... Save up to $67 vs. adult gate price! 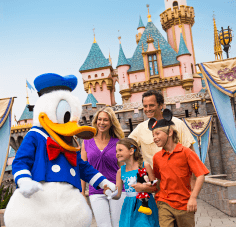 6-Day Disney Theme Park Base Ticket ... Save up to $47 vs. adult gate price! 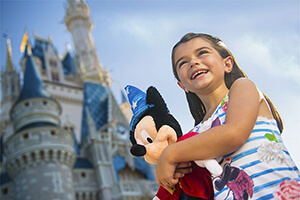 6-Day Disney Theme Park Ticket with Park Hopper Option ... Save up to $63 vs. adult gate price! 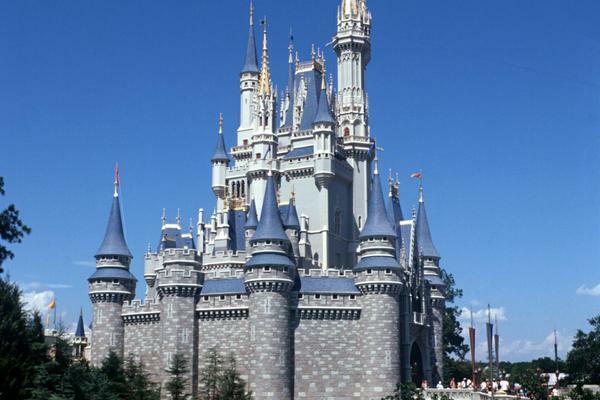 7-Day Disney Theme Park Ticket with Park Hopper Option ... Save up to $63 vs. adult gate price! See all of our discount Disney Theme Park Tickets! Festivals. Concerts. Food. (That's our personal fave.) It seems like there's always one occasion or another to visit! Events are some of the biggest reasons to visit the Walt Disney World Resort! While some of Disney World's special events fall during what was once considered more "off-peak" times in spring and fall, others hoppen during very busy times. Many of the Disney World events have become so popular that they bring more people to the parks! Here is the full schedule of Disney World events in 2019 to help you plan your visit. For those of you who have already picked your dates, this post also serves as a guide of what will be hoppening while you're there. You'll find all of the Disney World events on our Crowd Calendar. You can also see crowd levels and park recommendations on the days events are taking place. We update this post throughout the year as new event details are released and dates are added. 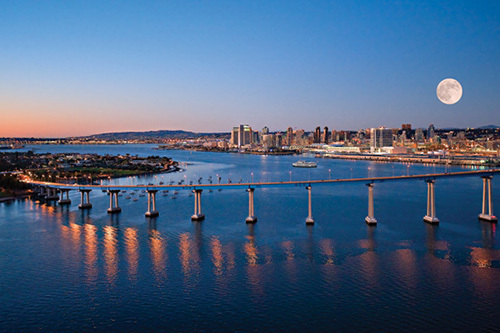 Be sure to bookmark this page if you've got a trip coming up! The Walt Disney World Marathon Weekend features Goofy's Race and a Half Challenge, Dopey Challenge, Kids Races, Walt Disney World 5K & 10K, Walt Disney World Half Marathon and the headlining race, the Walt Disney World Marathon. Disney's Health & Fitness Expo also takes places throughout the weekend. The courses of the longer races take runners through all four Walt Disney World Resort theme parks. Disney races are some of the Disney World events in 2019 that bring in heavy crowds. Crowd levels are affected by the Walt Disney World Marathon Weekend since the event brings in thousands and thousands of runners and spectators each year. 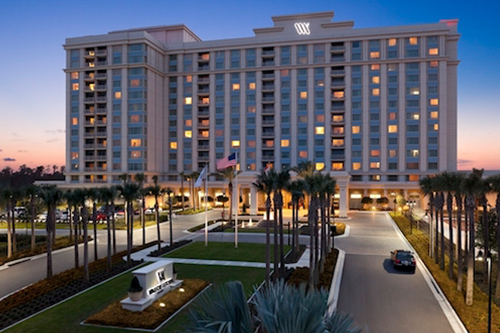 Traffic around the resort is also affected by the Walt Disney World Marathon. If you visit during this special event, expect travel time between the Disney parks to take longer. We have a separate post on What to Expect at the Disney World Marathon if you want to start planning. For those of you who want to get a hop on the next year, the dates are Jan. 8-12, 2020. Registration opens April 16, 2019, at 10 a.m. EST. This new-ish Epcot festival (it debuted in 2017) has quickly become one of our favorites! The festival celebrates visual, performing and culinary arts. 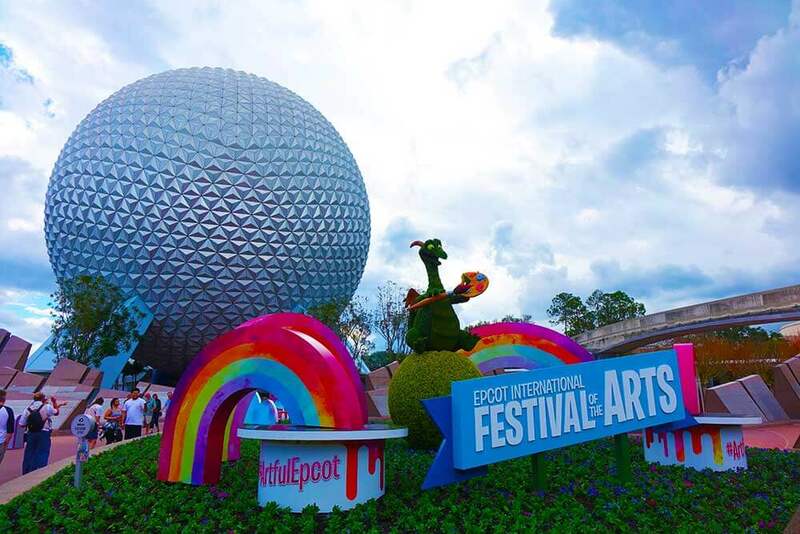 Once again, the Epcot Festival of the Arts will take place each day of the week! There are gallery exhibits, living statues, artist appearances and much more going on. The Disney on Broadway Concert Series inside the America Gardens Theatre will have nightly performances! Epcot International Festival of the Arts is included with admission to the park, but there are separately ticketed events within the festival. Here is our full guide to Epcot International Festival of the Arts! Inspired by the Disney Princesses, this event is designed with women in mind. Weekend events include the Disney Royal Family 5K, Disney Enchanted 10K, Disney's Fit for a Princess Expo, and the headlining event, Disney's Princess Half Marathon. The half marathon takes runners through Magic Kingdom and Epcot. Traffic around the parks is affected by this race. For those of you who want to get a hop on the next year, the dates are Feb. 20-23, 2020. Registration opens June 4, 2019, at 10 a.m. EST. Epcot International Flower & Garden Festival is an annual event at Epcot each spring. This event features more than 100 topiaries spread throughout the park. There are an abundance of food offerings at the outdoor kitchens scattered around World Showcase to enjoy while admiring the character topiaries. 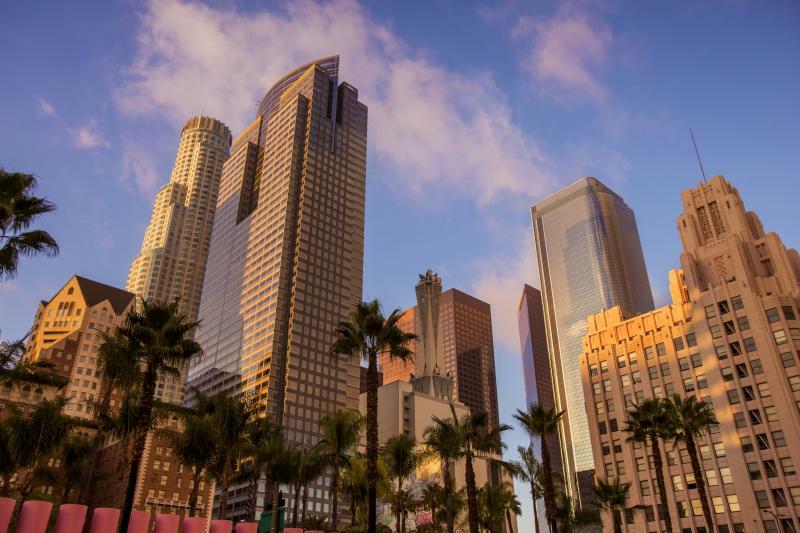 Popular kitchens include the Urban Farm Eats, the locally grown Florida Fresh, Japan's Hanami, the Smokehouse: Barbecue and Brews, and Bauernmarkt: Farmer's Market featuring organic samplings with a German and Bavarian flare. Guests can also delight in the hundreds of butterfly species residing at the festival's screened butterfly house. The festival concerts take place at America Gardens Theater usually every Friday, Saturday and Sunday during the event. Epcot International Flower & Garden Festival is included with regular admission to Epcot. This is one of the most colorful and popular Disney World events! 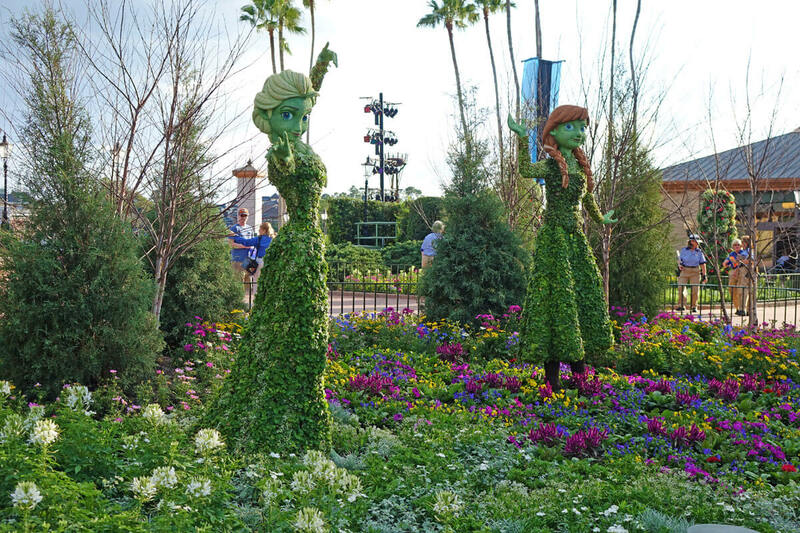 Check out the sights and sounds of Epcot's Flower & Garden Festival below! Star Wars Rival Run Half Marathon Weekend features iconic rivalries from Star Wars. Weekend events include the Star Wars 10K, Star Wars 5K, Star Wars Dark Side Challenge and the runDisney Kids Races, as well as the half marathon. Start perfecting your powers of the force along with your running training. For those of you who want to get a hop on the next year, the dates are April 16-19, 2020. Registration opens July 15, 2019, at 10 a.m. EST. Grab your lightsaber and wash your Jedi robes! This Disney World event that debuted a few years ago keeps coming back, although 2019 dates haven't yet been announced. Star Wars: Galactic Nights is a specially ticketed event takes place at Disney's Hollywood Studios from 7:00 p.m. until midnight. Mix with your fellow Star Wars fans and enjoy shows, celebrity appearances and photo ops. You can also enjoy Star Tours - The Adventures Continue, a viewing of Star Wars: A Galactic Spectacular and much more. This contemporary Christian music festival that took place each September did not return for 2018 and it is not expected for 2019. Concerts were held at indoor and outdoor venues at ESPN Wide World of Sports Complex. Night of Joy was a separately ticketed event. One of the most popular Disney World events is Mickey's Not-So-Scary Halloween Party. It takes place at Magic Kingdom on select nights each fall. The party's biggest highlights are watching Mickey's Boo-to-You Halloween Parade, Happy HalloWishes Fireworks and Hocus Pocus Villain Spectacular. The party features trick-or-treating in the park and Disney characters dressed in Halloween costumes. 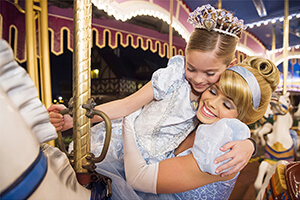 The party is not included with regular admission to Magic Kingdom and requires a separate ticket. We recommend purchasing tickets in advance since these parties do sell out. Purchase your tickets from your favorite frogs here! If you're thinking about going, check out our Guide to Mickey's Not-So-Scary Halloween Party. The Epcot International Food & Wine Festival takes place every fall at Epcot. If you're looking for Disney World events in 2019 with plenty of food & drink, this is one of them! The festival features more than 25 international marketplace kiosks, which offer tapas-sized portions of regional specialties as well as recommended wine and beer pairings. Guests can also spend time sharpening their culinary and beverage skills in seminars. There are also opportunities to partake in special dining experiences with celebrity chefs for an additional charge. This a major event, and we recommend using our Epcot Food & Wine Festival Guide to help you make the most of it. Eat to the Beat! Concert Series is included with admission to the park. The concerts feature many acclaimed artists. 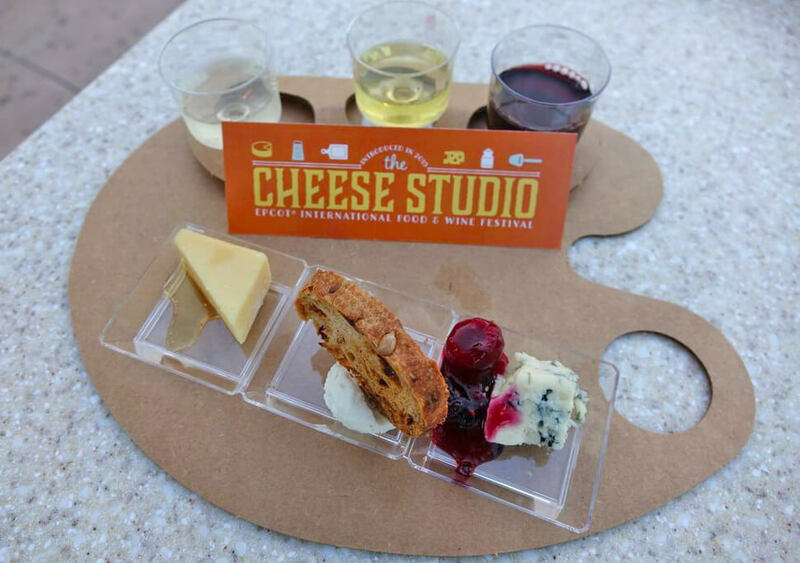 Epcot International Food & Wine Festival is included with regular theme park admission. Get a taste of the Epcot International Food & Wine Festival with our Sights & Sounds video. The Disney Wine & Dine Half Marathon Weekend combines the magic of a runDisney race with the festivities of the Food & Wine Festival. Races include the Disney Fall Feast 5K, Kids Races and the Half Marathon. 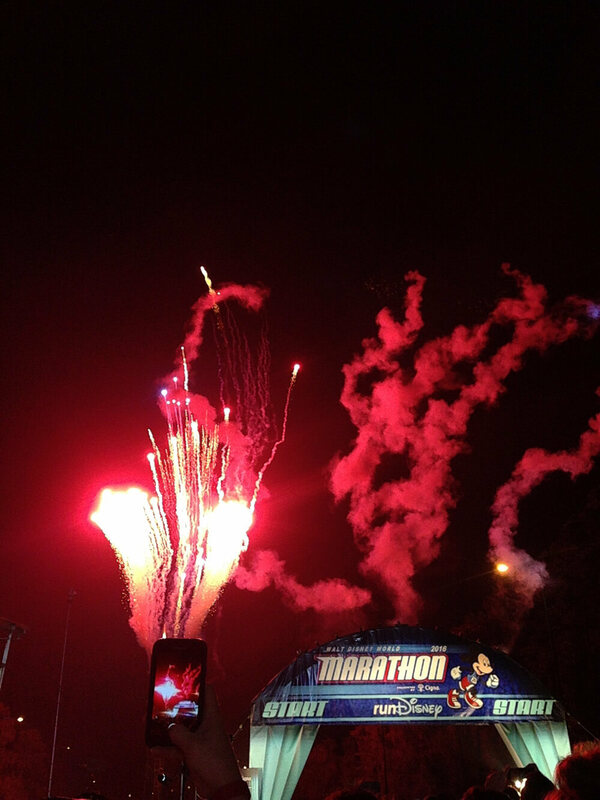 The half marathon takes place at nighttime! You can find more event and registration details on the RunDisney site. 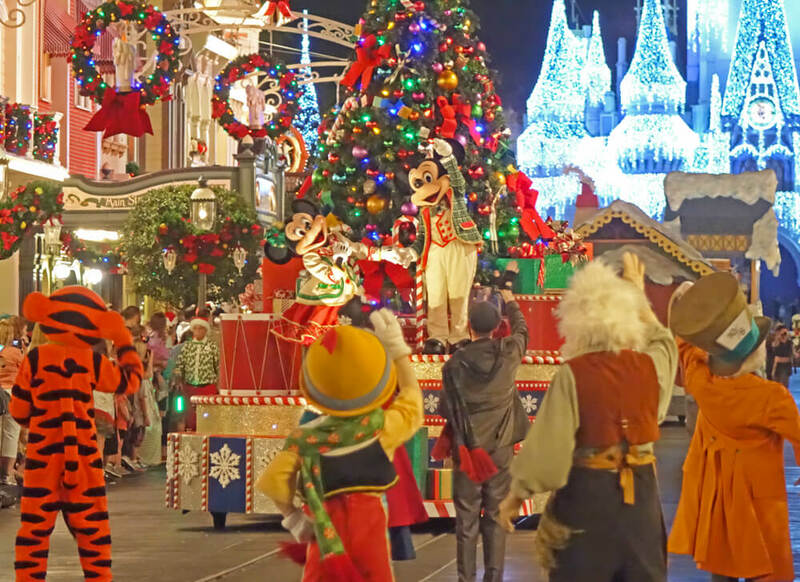 One of our favorites of Disney World events, Mickey's Very Merry Christmas Party is a special event held on select nights each winter at Magic Kingdom. The party runs from 7 p.m. until midnight. The big highlights from this event are Mickey's Once Upon A Christmastime Parade, Holiday Wishes fireworks, Mickey's Most Merriest Celebration Castle Stage Show and a magical snowfall over Main Street, U.S.A. There are also plenty of opportunities to meet your favorite Disney characters, some of whom are decked out in their holiday finest. Cookies and hot cocoa are included with admission to this separately ticketed event. It is recommended you purchase tickets in advance; it is common for nights to sell out. Purchase your ticket to the party here! Check out our Guide to Mickey's Very Merry Christmas Party. 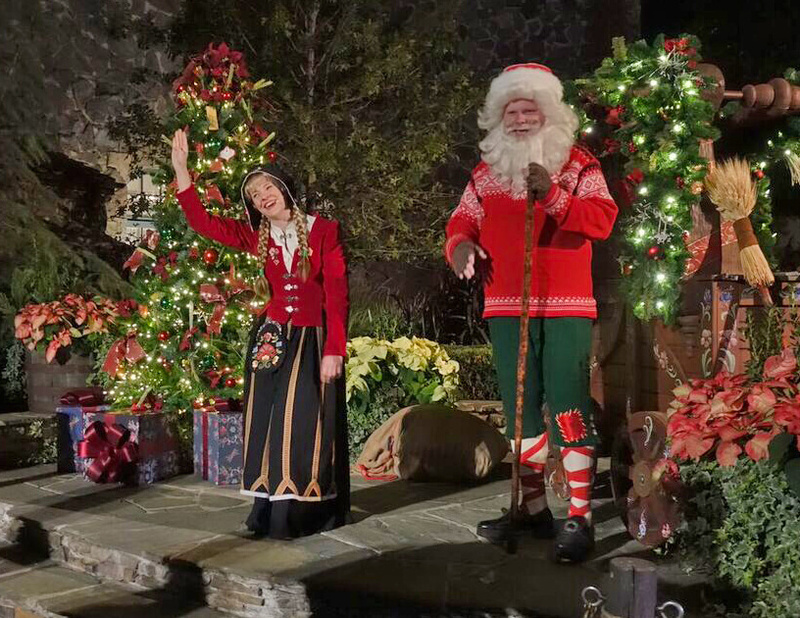 While Mickey's Very Merry Christmas Party is a separate admission event, there are still many festive holiday Disney World events in 2019. Each one brings merriment with the right touch of Disney. Let our Complete Guide to Disney World Holiday Events be your holiday planner. Epcot International Festival of the Holidays - Candlelight Processional takes place each winter in Epcot's World Showcase. Storytellers from many of the countries, such as Father Christmas at the United Kingdom pavilion, recount holiday customs from their respective countries. Guests can also have their picture made with Santa and Mrs. Claus at the American Adventure Pavilion. The Candlelight Processional is performed three times nightly. The show tells the story of Christmas with a celebrity narrator accompanied by a 50-piece orchestra and mass choir. Epcot International Festival of the Holidays - Candlelight Processional is included with regular admission to Epcot. We have tips on all of these festivities here. Debuting in 2017, Sunset Season's Greetings lights up Tinseltown as snow falls. Sunset Boulevard twinkles as favorite faces come to life. Look above as the billboards begin to move into motion and tell a tale — brought to you by iconic characters sharing their love for the season. Look down to see the Hollywood Tower Hotel come to "light" as it tells the stories of these characters. Holidays at Disney Springs is a special event that replaced Festival of the Seasons at Downtown Disney (the previous name for the entertainment area). It offers live entertainment, festive decor and fun photo ops. You also have the opportunity to meet Santa at a new location across from Ghiradelli Ice Cream and Chocolate Shop. There are holiday carolers, Toy Soldier stilt walkers and street performers. Dance the night away at a holiday dance party. Holiday decorations included the Disney Springs' Christmas Trail, a trail of trees decorated and themed as Disney characters. Disney Springs Marketplace was transformed into a winter wonderland with snow fall, toy soldiers and more. Holidays at Disney Springs is one of the free Disney World events in 2018. 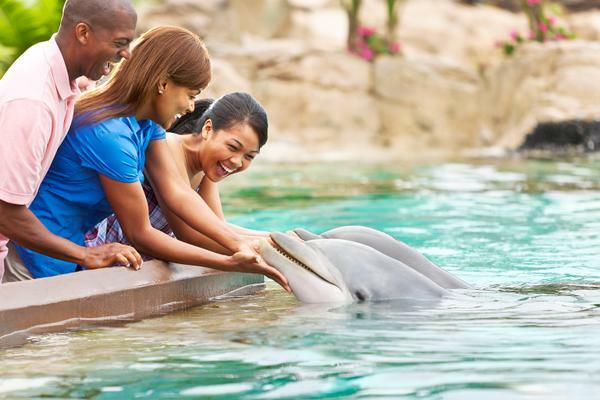 We hope you found this list Disney World events hopful as you plan your visit. By now you've realized that the parties, festivals and events are some of the best reasons to visit! If you are looking for more tips, check out the When to Visit Orlando page on our Orlando Planning Timeline! It saddens me that there will no longer be a Night of Joy Event at the park. Many people enjoyed that event and I believe and uplifting and encouraging event such as this is needed in our world today. Does disney usually do anything special in their theme parks during the time of big movie releases? My family and i will be in DW the day after Frozen 2 hits the theaters. When we are going to Disney in April and there are 2 Morning Magic at the Studios. How do you think that will affect the crowds there? We have park hopper tickets (from you) do you think we should avoid bothering to Rope Drop the studios those days? This depends on whether you are going during the EMH or not. Since you say rope drop, my guess is you're staying off-site? If that is the case, it would be better to start at a park without morning EMH. When will WDW release their calendar of events for January 2020? We want to plan our vacation for that month and would like to go when perhaps there's not anything big going on. If that's possible?? Thanks for "hopping" by. Disney typically releases information throughout the year vs. at one time for the whole next year, but we'll keep this post updated as they do. Can the new tickets be upgraded to a DVC (we are members) passholder ticket at guest services on our first day visiting the parks, and the price we paid for the UC ticket applied to upgrade to DVC passholder? Thanks for your help! Happy Holidays to all. Yes, they can! Hoppy holidays back to you! We just attended Return to Sleepy Hollow. This was a showing of the Disney movie and a photo op with the Headless Horseman. I paid extra for the treat bag, and was not disappointed. I was looking for more unadvertised events like this and couldn't find any. Do you have any inside knowledge? How did you find out about the Return to Sleepy Hollow event? We imagine it is similar for others. Many of these events are annual passholder exclusives or social media meet-ups. We will be visiting to watch our daughter perform at Contest of Champions at ESPN WWS. We will be there from a Thursday - Sunday. What type of ticket gets us into all of the parks (hopper) as well as ESPN? Thank you! You can find all of our park hopper ticket options at the link! we are planning to come the beginning of October just wondering how the crowds are? Check out our Crowd Calendar for details, but it looks like a great time to visit! Not too busy. When are the dates for the Candlelight Processional usually announced? So excited about our first Christmas time visit! The dates are usually announced sometime around July or August. Stay tuned! Just received summer Mickey Monitor. It has New Concert Series at Epcot on calendar from June 9 to August 19. No additiond info included. I spoke to DVC member services they stated they have NOJ returning to espn but no date listed. They said they will release information this month. I've been trying to find out the line-up for 2018 Night of Joy and looking everywhere. I couldn't believe it is this late in the year and I couldn't find anything. I'm even more shocked to now read your post they Disney isn't having it this year! there will be a lot of disappointed people! This contemporary Christian music festival takes place each September. Concerts are held at indoor and outdoor venues at ESPN Wide World of Sports Complex. Last year admission to Saturday's concerts included a day at one of the four theme parks. Night of Joy is a separately ticketed event. is that true? "Not returning for 2018"? I sure hope that the management at Disney doesn't think that the "Garden Rocks Concert Series" lineup could/would EVER COMPARE TO THE "Sounds Like Summer" LINEUPS IN THE PAST!!!!! Please note that Night of Joy will NOT be held this year. Are you for sure that NOJ will not be returning? Where are you seeing this? Because I called disney today and they said they are having it still at ESPN. We will keep you posted if we hear otherwise, but we have not seen anything confirmed for Night of Joy returning this year. Thanks for letting us know, Mike! List is for 2017 or 2018...both years listed and comments are from 2015 and 2016! When will the Dining package be available for making reservations to the candlelight processional? We're expecting the packages to go on sale soon. Keep taps on Disney's Candelight Dinner Packages site. I was looking forward in the hours for August and September, and I noticed something very interesting. On August 25th which is a Friday one would think the park would be open later, but the park hour said it will close at 7pm, when party nights are held for the MNSSHP and MVMCP. So I think that this year they are going to be doing the parties earlier then before, since they also bump up food and wine...food for thought! Has Sounds Like Summer been cancelled for 2017? If so, any news on what will replace everything it (if anything)? I have been searching every week for the lineup as we plan our EPCOT Visits around Stayin' Alive each year. 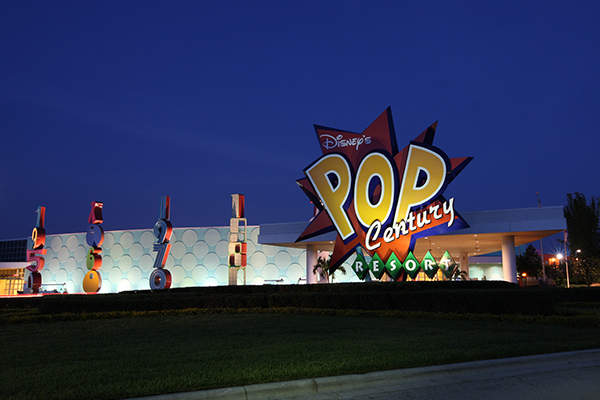 But the lineup has always been posted in early April, so I am assuming the rumors of its demise are true. We haven't heard any news on Sounds of Summer returning for 2017. Hi there, when do the dates for the MNSSHP and MVMCP usually release? The dates for those usually come out in the Spring. Usually May, but it may happen earlier. Keep checking back with us! do you know what dates Santa is a disney springs from?we are currently booked until Nov 15th and hoping to catch santa and the resort hotels decorated - what are the chances? Santa generally may not be around this early in the season at Disney Springs, but we hope to know dates of his appearances soon! The resort decorations go up in mid-November, so it's likely you will get to see some of it. Wouldn't we like to know too?! Lily loves Evie! They are not there often, but the best way to stay up on this is by following the Disney Parks Blog. It often mentions when celebrities will be in town for certain events. Would you reccomend these Disney After Hours nights? I can't see what is so special about them except the late entry? I just don't see what is so special about paying an extra $149 for it? Any advice would be greatly appreciated. We don't think it's a tremendous value, but if you really want to make sure you have time to ride plenty of rides with the least amount of waits, then this is the way to go! We are coming over from England and I am looking for Disney Halloween tickets, but not going to the main Disney parks. Can I get these through you? I can't seem to find the right button to click. Thanks. These tickets have not yet gone on sale, but we hope to be able to offer them again. hi, i want to visit April-16 any days, have you any special event on this month? and how many cost the event? Your night of joy dates are incorrect - it is September 9-10, 2016. When do Disney release even dates for Oct - Dec 2016 please ? The release of event dates vary. For bigger events, such as Mickey's Very Merry Christmas Party and Mickey's Not So Scary Halloween Party, those dates are typically released in May. I've tried to find out if the newly labeled Disney Springs hotels (Holiday Inn, Hilton, etc) are providing shuttle service to/from the Disney World Marathon Weekend (Jan 7-10, 2016)? I've called the hotels but nobody seems to know for sure. Anyone? We are planning a trip to Orlando Dec 26-Jan3. Can you please let me know what activities are going on at Disney during this time. Thanks! There are a ton of holiday happenings during this time. Check our Guide to Disney World during the Holidays! I am planning to go in 5-7 Nov. Any advice or should I wait a couple more weeks? I am more interested in parades and celebrations. Your dates are good as far as parades and celebrations are concerned, but you would need to adjust the dates if you wanted to visit Mickey's Very Merry Christmas Party. Keep in mind that that weekend is fairly busy because of the Wine and Dine Half-Marathon. Hi, just realized we will be in Disney during marathon weekend. We don't hve any ADR's for Saturday or Sunday morning, but should we avoid certain parks those days? Our plans were to do Epcot Saturday AM around 10am, and magic kingdom at night. We planned to spend all day Sunday at Hollywood studios, also getting there around 10am. 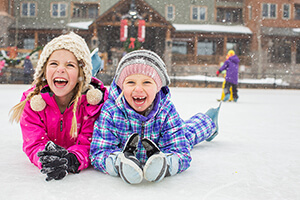 Our crowd calendar provides recommended parks each day that can help you with these questions. After you decide, definitely go ahead and book your ADRs! Unfortunately, no, you would need regular park admission to see the lights. I have a timing and logistics question. We want to see Osborne lights, but also want to see Fantasmic. I made reservations for dinner at Brown Derby for 540p, without thinking about Osborne. I'm thinking it will be impossible to have a leisurely dinner, then see Osborne, then check in to Fantasmic by 8p. What do you think? we don't want to be sprinting from one place to another with a 4 year old and an old lady (me, sort of) in tow! IF I can change my dinner reservations (it's not available at the moment), how much time should I REALLY allow? This depends on which date you will be in the park. If it is an Extra Magic Hour night, you can visit the Osborne lights after Fantasmic! The Osborne lights begin at dusk and usually continue until about an hour after park close. I would allow at the very least 20-30 minutes to walk through the Streets of America to see the lights dance, navigate the crowds, and take some photos. You would need to leave when the park closes for the party at 7 p.m.
Hello, do you know if Disney Springs will do anything special such as trick or treating for the kids on Oct 31, 2015? Thank you! We haven't heard yet whether there will be trick-or-treating at Disney Springs. We hope so! Do you guys have tickets available to Mickey's Very Merry Christmas Party? I need to buy my Disney tickets for our vacation starting November 20th, and would prefer to get all of the tickets through Undercover Tourist! Awww, Darlene, we'd love for you to buy all of your tickets through us too. Unfortunately, we will not be getting party tickets this year :( You'll have to go through Disney directly for that one. How will the new Star Wars Half Marathon event affect crowd levels at the parks over that weekend?? Races always impact crowd levels, bringing more people to the parks and making the hotels more crowded. What impact do you expect the new Star Wars half marathon to have on the parks? My husband would love to run but I'm hesitant about the crowds. Thanks! The marathons always bring in more people, and they do sell out. I think it would be tremendous fun even with the extra people. May the force be with you! One more question. Does the "snow" always fall during the light show or just during the ceremony? Thanks so much! That weekend is also the Disney Wine & Dine Half-Marathon, so I would expect it to be fairly busy. You can check out your dates on our Crowd Calendar. We are going to Disney World June 5 to July 11. Do you know of any special event going on besides the concert series? During the summer months, there are fewer events at Disney World, but it's possible something will crop up! We are planning a girls trip to Disney over Hallowen. Are we allowed to wear costumes in the Disney park on Halloween? I read somewhere that adults were not allowed. Do you know if this is true or not ? You can wear costumes to Mickey's Not So Scary Halloween Party at Magic Kingdom. There is more information about the dress code in the parks here. Generally, Disney does not want guests to confuse you with a princess or other character. Can I purchase special events tickets from undercover tourist. If so, how? Most of the special events are included with regular park admission, so yes, we offer tickets! We also expect to offer tickets for select dates on Mickey's Not So Scary Halloween Party and Mickey's Very Merry Christmas Party later this year. Has Osbourne Family lights been officially confirmed fir 2015?? I had heard that it was possible it wouldn't be happening this year??? That rumor has been around for several years now. The 2015 dates have not yet been confirmed. How do I find out about the entertainment at Epcot EAT TO THE BEAT 2015? The lineup has not yet been announced. Stay tuned! We are visiting Disney World the week of Oct 11-17 during the Epcot food and wine festival. We aren't really planning on participating in the festival much, but will Epcot be insanely crowded because of it? Is there any way around it or a best day to go? I'm just wondering how much the festival affects regular park-goers during that time. Thanks in advance! Planning a trip for Sept./Oct. Do you know when the dates of the Mickey's Not So Scary Halloween Party will be available. Need to make reservations. Keep an eye out on our Mickey's Not So Scary Halloween Party blog for dates. They should be announced later this month! WE went 2 years ago around that time, and took FULL advantage of the festival! SUCH AMAZING FOODS TO TRY! And cheaper since they are "sample" portions. Definitely check it out. And it was busy- not horribly busy- but busy. At any park we still had hour wait times for the bigger rides, but during the normal Lunch Dinner rush the parks would be empty. So not Summer horrible, but not Early Spring empty. The Epcot food festival is great fun and when we went didn't make the place crowded at all. I believe October is fairly lite in the parks. I like food! Food is fun...like Epcot! Expect the weekends to be pretty crowded. If you go during the week and head to Epcot in the morning, it will be less busy. The festival is a ton of fun and a great way to sample different flavors from around the world!